Timed to fit the start of your day is Rise & Shine! This program features enjoyable up-tempo Gospel music blended with classic oldies, and we mean REALLY old-ies! 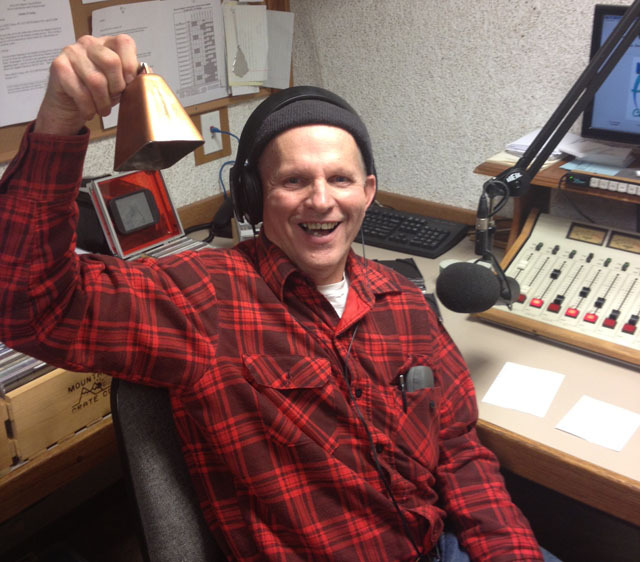 Your host “Cow Bell” Bob Sutton keeps things on the lighter side with special “farm animal” guests, yet emphasizes things spiritual as well, reminding us to do our daily devotions and put the Lord first. Bob also helps keep us informed of winter weather and pass conditions, plus anything of concern as many of us drive our morning commute. Drop by and “visit” by tuning in to Bob weekdays at 6:30am, and really help yourself start your day right with “Rise & Shine”. You can contact Bob using the form below. Just remember that his computer know-how is limited to the weather and pass reports, so we’ll be sure to print it out and give it to him!